This car has quite a rich history so if you're bored read on. 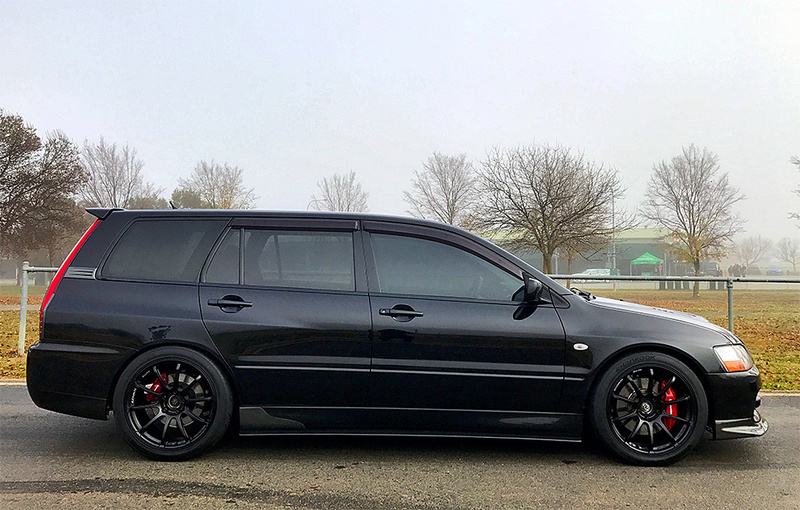 I sold my STI Forester late 2013, to lochGT, but I'm back in a 4 cylinder turbo wagon. Now I've got a 2005 Mitsubishi Lancer Evolution IX GT Wagon CT9W with manual transmission. 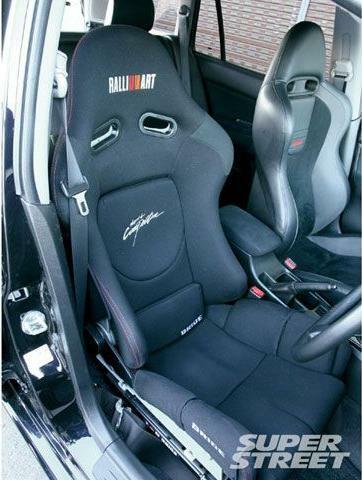 In 2013 it was the only Evo 9 Wagon registered in Australia. 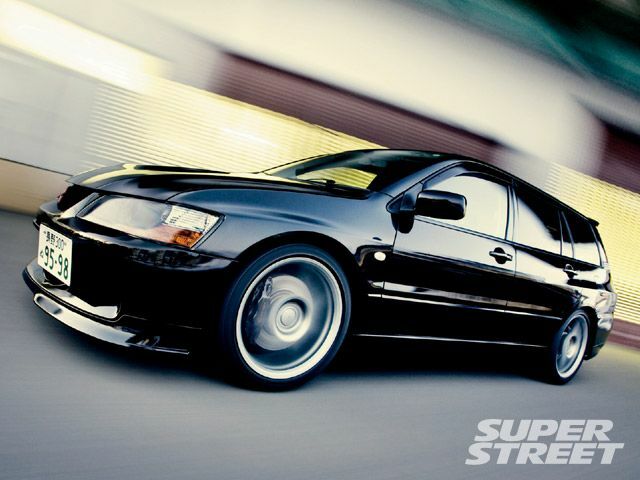 Less than 2,900 evo 9 wagons were ever made and only about 10% had the GT manual transmission and evo 9 MIVEC engine. I've actually been eyeing it off ever since I saw it at WTAC in 2011. It looked so much better in the flesh compared to photos I'd seen of it online. I almost bought it in 2012 but finally in October 2014 the sale went through and I drove it home. 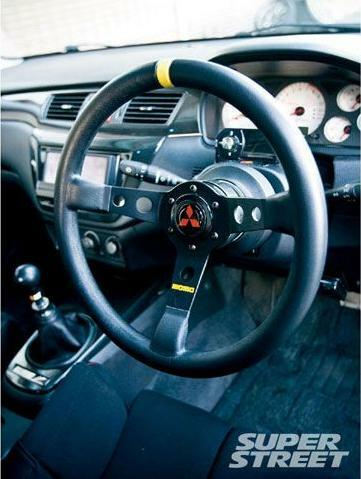 Evo Wagons are pretty rare, Mitsubishi said they would make 2500 of them (they made less than 2,900) but only around 10-20% of those would have 6 speed manual transmissions and the Evo IX MIVEC engine. The others would be a GTA version with Auto transmission and the non MIVEC Evo 7 engine. I have a lot of receipts etc of when the car lived in Japan and was being modified in Japan at Auto Produce Boss workshop in Nagano and at the "JUN Machine Shop". The previous owner Hidetaka Degawa used to track it but it was also registered and driven on the street. My mates Martin Notaras @ Notaras Motorsport, Glenn Kelly @ ESP, Adam @ BDL car stereo and I have done a lot of work on it over the past months to prepare it for the registration transfer process. It has come a long long way since buying it. My OCD will continue to fine tune it as cash allows. Last edited by XT666 on Fri Dec 22, 2017 4:19 pm, edited 66 times in total. Last edited by XT666 on Sat Dec 23, 2017 8:39 am, edited 32 times in total. 6 February 2015 - Beatrush front number plate bracket and unique number plates fitted "UZUMAKI"
Last edited by XT666 on Sat Dec 23, 2017 8:35 am, edited 31 times in total. Last edited by XT666 on Mon Mar 09, 2015 10:49 am, edited 4 times in total. 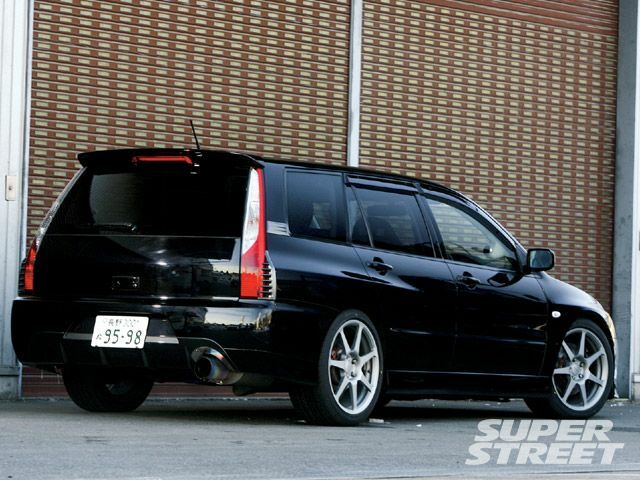 Superstreet Online USA article about the wagon when it was still living in Japan. Built For The Track But Can Still Haul A Proper Load - Why Do The Japanese Always Get The Really Cool Stuff? It's too bad wagons never fair too well in the States. We're a far cry from the beater cruiser the Griswold's took to Walley World back in the 80s but these days you better be a fan of European makes or the STI if you want something with four doors and a hatch. Japan's domestic market (shockingly) has an Evolution model wagon and is just one other level of cool that I wish would have made its way over when Mitsubishi decided to sell the damn thing here, but all we got was a standard level Lancer. But the Japanese are probably oblivious to this fact; we know Auto Produce BOSS out of Nagano is, and helped out Hidetaka Degawa, the owner, by putting their tuning skills to work on this cool Evo GT wagon. With intentions of making this a circuit racer - since Degawa-san is at the track as often as his time and the weather permits - AP BOSS built the car with the best compromise between power and response, hence the selection of the Evo 6 RS Turbo since it has the capability to make good power while retaining factory turbo response, according to Phi Phung of AP BOSS USA. 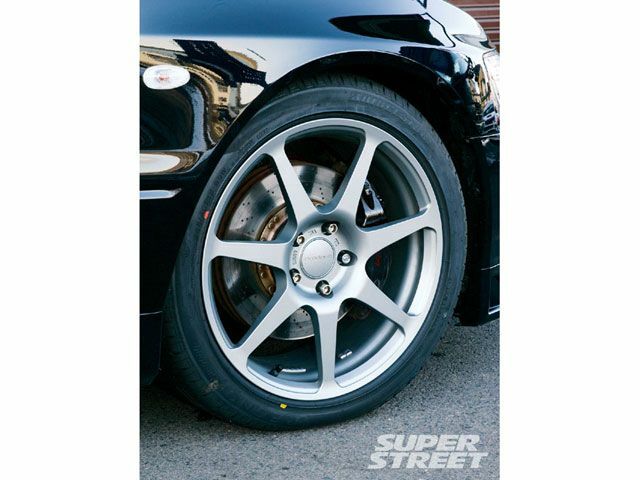 Of course, Degawa-san went through many sets of brake pads and tested a number of spring settings to find the best combination to match his driving skill and style, settling on Prodrive Japan/Ferodo-DS pads and Swift/Hyperco springs in the end. Other than the engine and suspension mods, there's nothing out of the ordinary here - but it's the little details that count. Being a wagon, it gets used regularly and at the end of the day, it's still an Evo. Phi adds, "Other than the added weight from the glass and hatch, it handles and reacts like an Evo." And until someone figures out how to carry the Evo drivetrain over to a US model Lancer wagon - or perhaps in some cases, decides they want to spend the money to do such a conversion - we have the upcoming Ralliart Sportback to look forward to. I think any turbocharged wagon from Mitsubishi would be welcomed at this point. Last edited by XT666 on Sun Jul 02, 2017 11:42 am, edited 4 times in total. The wagon was imported & complied as a Personal Import in mid 2011 by the owner of a car import business in Sydney. Last edited by XT666 on Mon Dec 15, 2014 9:01 pm, edited 2 times in total. Are Evo Wagons any good? Tim Shrick's from D Motor does a test between an Evo IX wagon and the Audi RS6 V10 twin turbo wagon. Last edited by XT666 on Mon Dec 15, 2014 1:31 pm, edited 3 times in total. I Say: R is for RACE! Check our vendor section or Find us on Facebook!